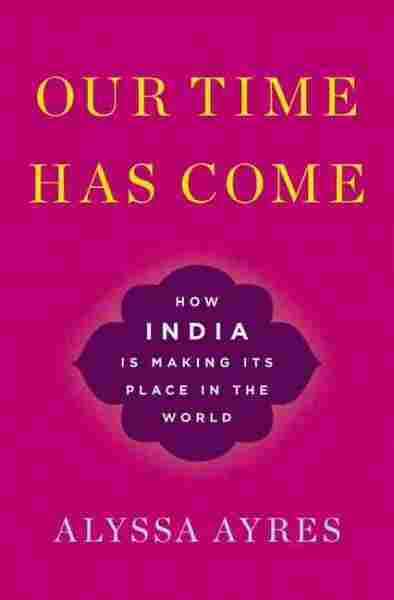 With Greater Economic Strength, India Believes Its 'Time Has Come' : Parallels "I don't think India wants to be a formal U.S. ally," says Alyssa Ayres, author of Our Time Has Come: How India Is Making Its Place in the World. "It sees alliance relationships as too constraining." Indian traders and vendors negotiate prices at a wholesale vegetable market in Hyderabad. The Indian economy grew at 7.1 percent for the 2016-2017 financial year. 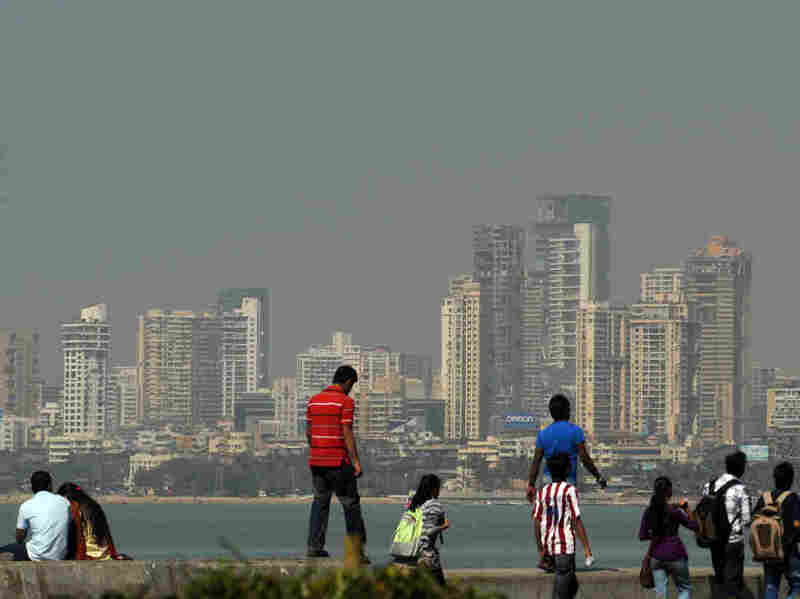 Once poverty-stricken and reliant on international aid, India opened up its economy in the early 1990s and has since seen steady, sometimes remarkable, economic growth. 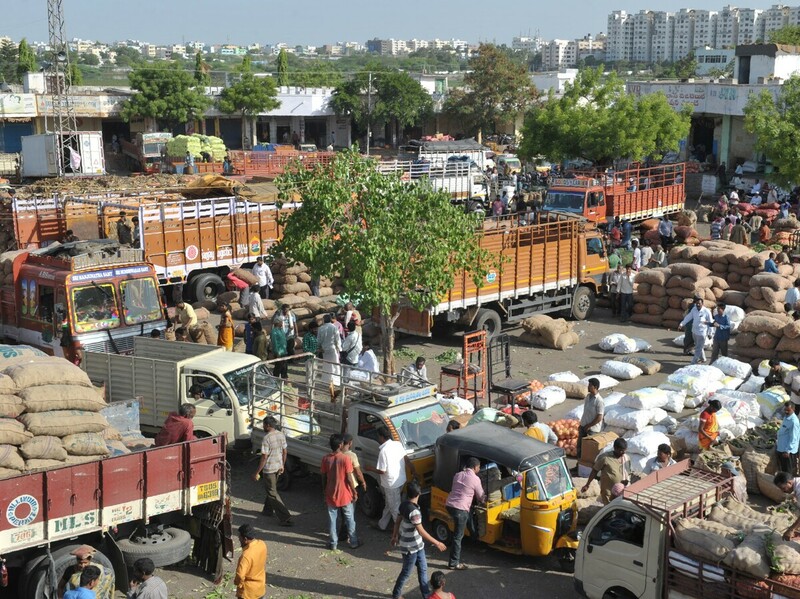 Today, by most measures, India is one of the world's largest and fastest growing economies. Millions have been lifted out of abject poverty, though millions more continue to lack access to basic services like power, sanitation or decent schools. Today's India is also a place of technological innovation, a huge market to global businesses and a more confident player on the world stage on issues ranging from global trade to climate change. But it hasn't yet reached the stature it feels it deserves in global governance institutions — most notably, it has never had a permanent seat at the U.N. Security Council. In a new book, Alyssa Ayres, a senior fellow for India, Pakistan and South Asia at the Council on Foreign Relations and a former Obama administration official, examines India's global ambitions and how Indian policymakers plan to achieve them. Because of its new economic strength, India is asserting itself in ways it couldn't even a couple of decades ago, she argues in Our Time Has Come: How India Is Making Its Place in the World. She spoke recently with NPR about the book. The interview has been edited and condensed for space and clarity. Why do policy makers in New Delhi believe that India's time has come? People there recognize that India is in such a different place now than it was 15 to 20 years ago. A lot of that has to do with economic growth and with the rise of Indian businesses as global businesses, which is a relatively new phenomenon. So, here's a country that sees in itself this great potential and wants to be recognized as one of the world's major powers. It is also true that for historic reasons, India has been on the outside of many of the institutions of global governance. It does not, for example, have a permanent seat at the U.N. Security Council and it deserves a bigger voice than it currently has at institutions like the World Bank and the IMF. So what you're seeing now is people saying, "We deserve those seats that are markers of global power and the recognition that comes with them." For much of India's history, after independence in 1947, it was close to the Soviet Union and suspicious of the West. From being a socialist economy, it's now an open, capitalist one. How has that changed its approach to the world? During the Cold War, India pursued non-alignment, where it pledged to keep equidistance from the two superpowers — but it was, in many ways, a tilt towards the Soviet Union. The fall of the Soviet Union in the early '90s opened up a kind of pathway towards economic reform, which unleashed growth that has been enormously beneficial. With that, India no longer feels the need to hold the U.S. at arm's length the way it did in the past. Just because ties are strengthening between New Delhi and Washington, however, doesn't mean that India's ties with countries that are not close to the U.S. – like Russia, like Iran – are going to fall by the wayside. That's part of India's real independence in the relationships it wants to have around the world. We saw a real example of that when New Delhi last fall refused to to shutter its embassy in North Korea despite U.S. pressure on countries to diplomatically isolate Pyongyang. "Sorry," the Indians said, "that's not how we work." So even on one of the key foreign policy issues for the U.S., India feels free to strike its own course. It does. I am absolutely convinced that India will always and only strike its own course. Don't you think the U.S.-India relationship is ripe for misunderstanding? India and the U.S. don't see eye-to-eye on everything. At the U.N., for example, India is not seen as a very good partner. We don't have a good voting coincidence rate. The two do see eye-to-eye on some things. The security relationship has been very strong. There's also long been collaboration on science and technology and I see cooperation on climate change and clean technology as an outgrowth of that. I think what happens for a lot of Americans, they think about the world's largest democracy — a country we've got a great relationship with, that is continuing to grow and strengthen — and people just naturally think that we must be in the process of forming an alliance with India. But that's not what India is interested in. I don't think India ever wants to be a formal U.S. ally because it sees alliance relationships as too constraining. This new relationship that's burgeoned over the past decade or so between the two countries – last year the U.S. even renamed the Asia-Pacific as the Indo-Pacific, a nod to India's increasingly important role in the region – how much of it is driven by fear of a rising China? I think a lot of [the two countries'] security thinking is driven by China's increasing assertiveness. We've seen that particularly with the island-building and militarization in the South China Sea and questions over freedom of navigation. I think India also has seen what's been happening in terms of China's ambitious Belt and Road project, and its increased influence across South Asia, as a real developing concern. So I think China is an important component. But there's other ways of thinking about U.S.-India ties. One is regarding economic growth, India as a major market and the rise of Indian companies and their interests in the U.S. You've seen trade volumes increase, even though we've got a whole lot of trade differences. Also, there are few solutions to be found on issues like climate change or "freedom of navigation," without India playing a major role simply because of its size. There are many massive problems — poverty, unemployment, education, infrastructure — in India. Why are Indians latched onto this idea that India should have a greater role in the world when their own house is so messy? India's role on the world stage has always been pretty interesting. You could go back to India's first Prime Minister Jawaharlal Nehru, when arguably India faced far greater domestic challenges. He too saw India as a country that was destined to have some sort of global leadership. Back then, he saw India exercising its moral authority and wanted to mediate between North and South Korea. So I am very sympathetic to the view that today, when India is one of the world's largest economies, its largest democracy, has one of the world's largest militaries and military budget — why doesn't it have a permanent seat at the U.N. Security Council? When you look at who's on that, the world is very different than it was in the middle of the 20th century. I also don't think India needs to choose whether it becomes more active diplomatically and demand a greater role in the world or focus on trying to create policies that will lift more people out of poverty. I think these can both be done at the same time. Nishant Dahiya (@nprnishant) is NPR's Asia editor.